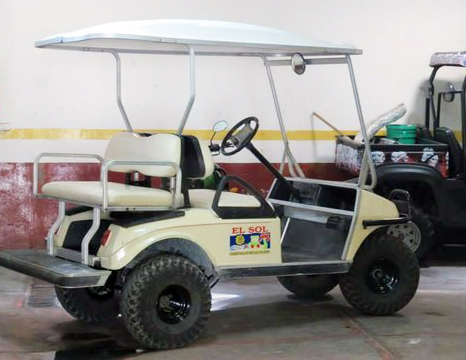 We definitely recommend renting a golf cart on your next visit to Isla Mujeres! It’s the perfect way to get around the island for both convenience & sightseeing. If you’re only looking to rent for a very short period of time, it is best to do this once you arrive to the island. If you’re looking to rent for an extended period of time it is recommended to book well ahead of time as carts book up fast depending on the time of year. Golf Cart rentals Isla Mujeres are easy to book ahead of time. See our ‘Things to do and see in Isla Mujeres’ page for more sights to see and things to do on the island.